Wow, thats Dope!!!! - Need some More!! Felling the star wars theme. heavy. Thanks, I bought the LP a long time ago and searched for two years for a digital version. The jacket of CTI 7-5005 indicates the "Dune" suite is based on Frank Herbert's novel "Dune." However, producer Creed Taylor had not secured the author's authorization as the thematic source for the album. Herbert later filed suit against CTI and won, forcing the album to be withdrawn from distribution. Any future issue of the recording requires the authorization of Frank Herbert. 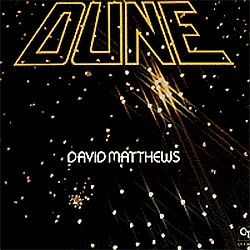 In other words: if Frank Herbert dies, we might probably never see an reissue of this album on CD again... Thanks for sharing it with us!